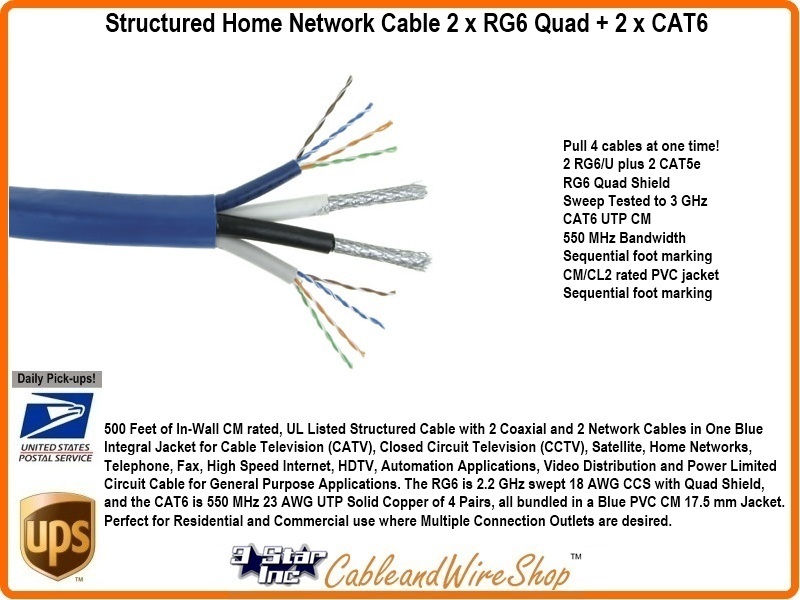 500 Feet of In-Wall CM rated, UL Listed Structured Cable with 2 Coaxial and 2 Network Cables in One Blue Integral Jacket for Cable Television (CATV), Closed Circuit Television (CCTV), Satellite, Home Networks, Telephone, Fax, High Speed Internet, HDTV, Automation Applications, Video Distribution and Power Limited Circuit Cable for General Purpose Applications. The RG6 is 2.2 GHz swept 18 AWG CCS with Quad Shield, and the CAT6 is 550 MHz 23 AWG UTP Solid Copper of 4 Pairs, all bundled in a Blue PVC CM 17.5 mm Jacket. 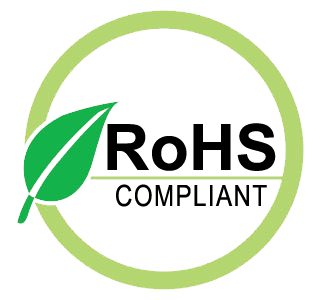 Perfect for Residential and Commercial use where Multiple Connection Outlets are desired.